Factory output as measured in terms of the Index of Industrial Production (IIP) had grown by 8.5 per cent in November 2017, as per data released by the Central Statistics Office (CSO) on Friday. 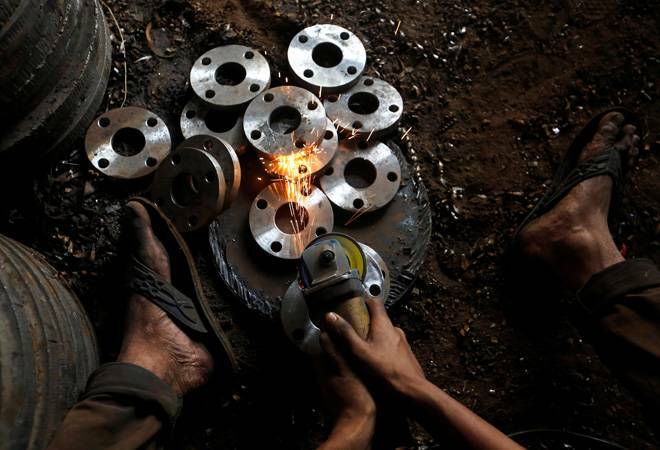 Dharmakirti Joshi, Chief Economist, Crisil, said the plunge in IIP was driven by manufacturing, where growth turned negative, while electricity growth halved over October. Within manufacturing, many segments -- capital, intermediate and consumer goods -- de-grew in November. "Last year same month, manufacturing growth had surged after GST-related constraints faced by exporters eased, the impact of demonetisation on some sectors waned, and exports darted up," he said. Commenting on the data, CARE Ratings said industrial output in the coming months is likely to be driven by the infrastructure segment. "It is however likely to be pressured by an unfavorable base," it added. Industrial output growth for the current fiscal year as a whole is expected to be in the range of 5-6 per cent, it added.